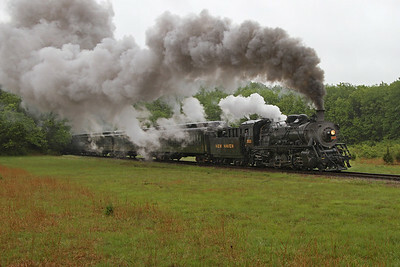 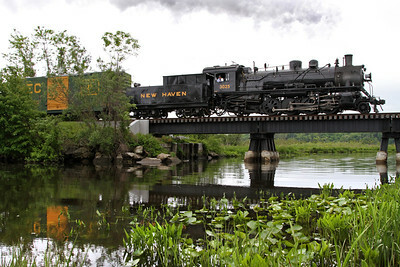 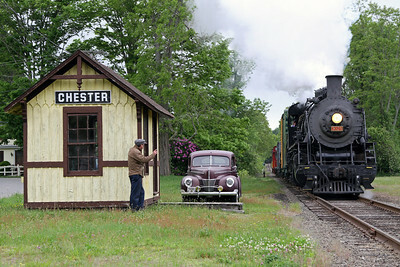 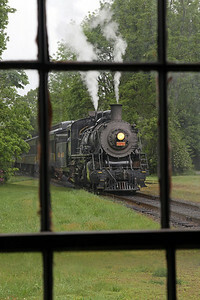 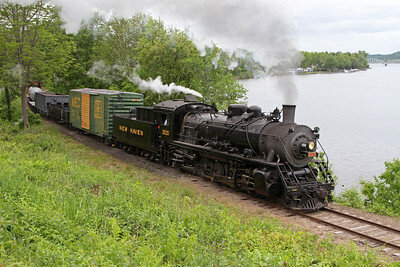 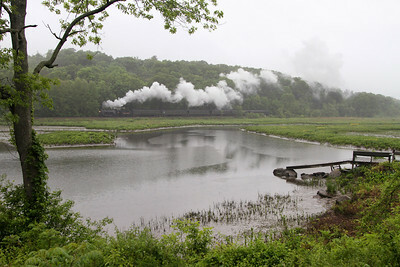 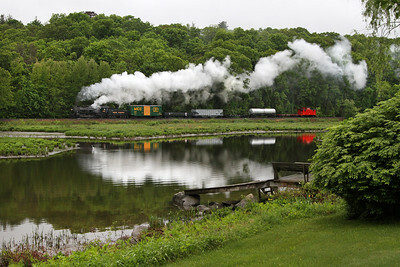 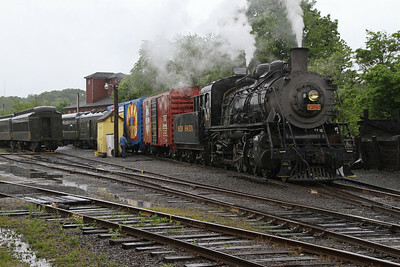 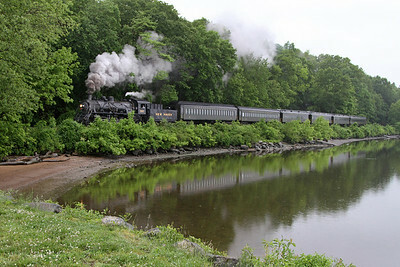 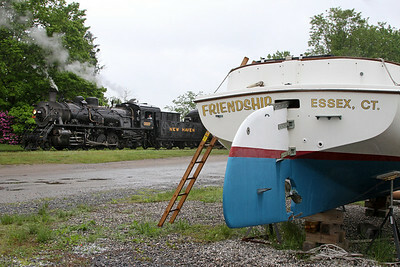 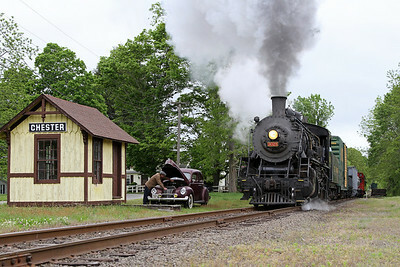 Photos from May 2012, featuring New Haven 2-8-2 #3025 pulling passenger and freight trains along the Connecticut River between Essex and Haddam, Connecticut. 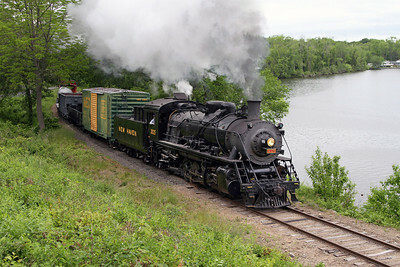 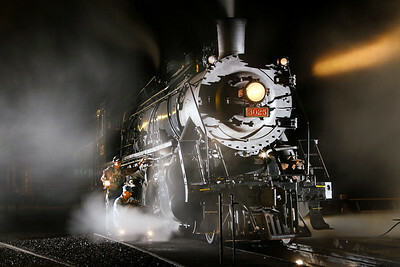 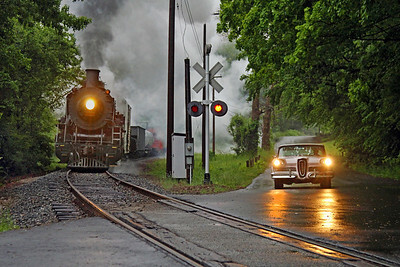 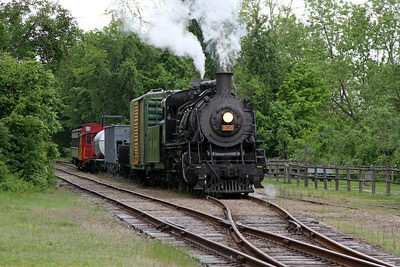 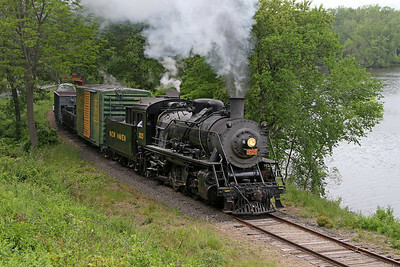 The Chinese-built locomotive was purchased new in 1989 by the Knox & Kane Railroad for its tourist train in western Pennsylvania. 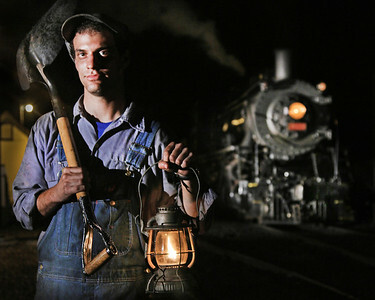 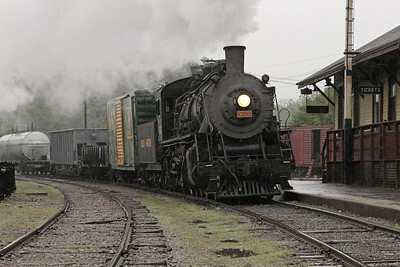 Following closure of the K&K and an engine house fire, the Valley Railroad bought the severely damaged locomotive and rebuilt it to the appearance of New York, New Haven & Hartford's 1916-built class J-1 Mikados. 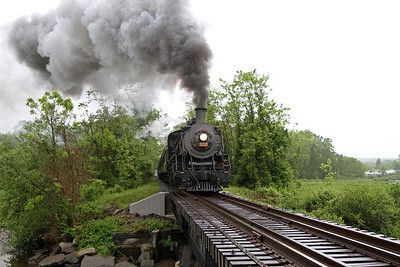 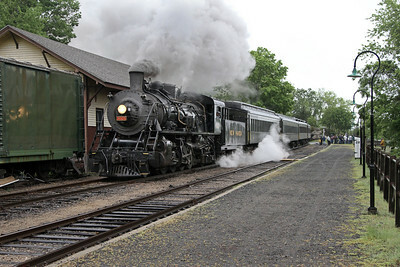 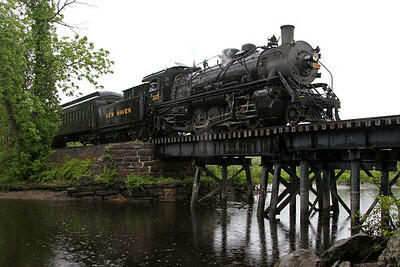 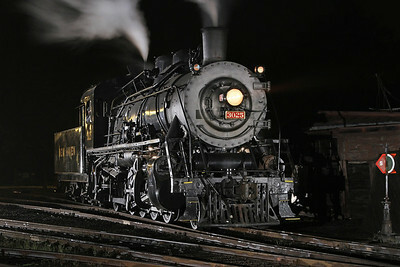 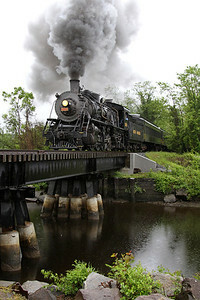 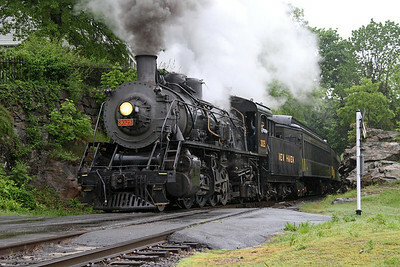 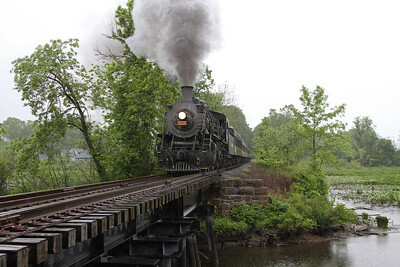 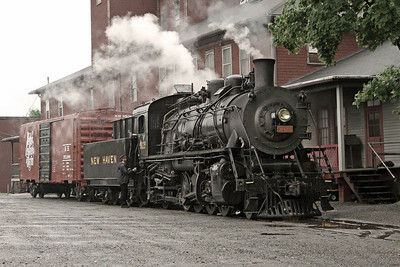 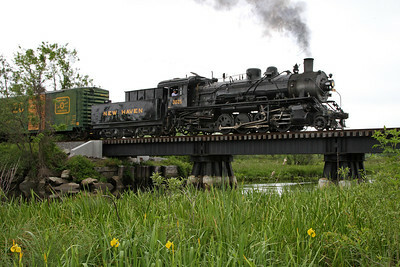 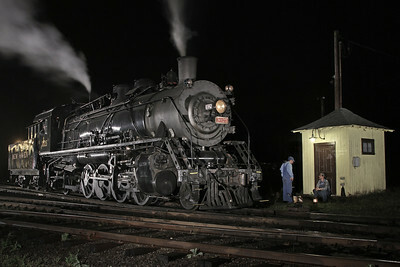 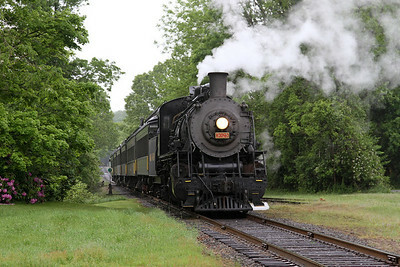 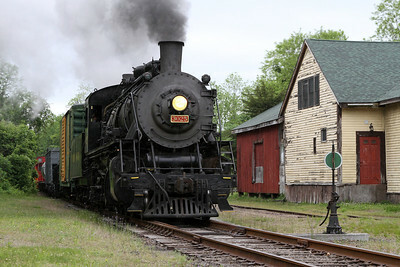 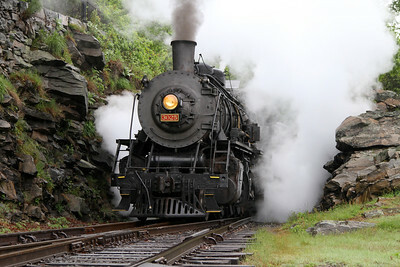 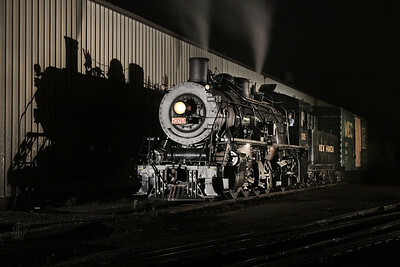 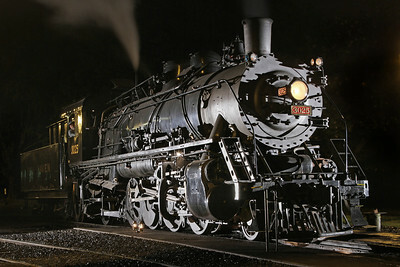 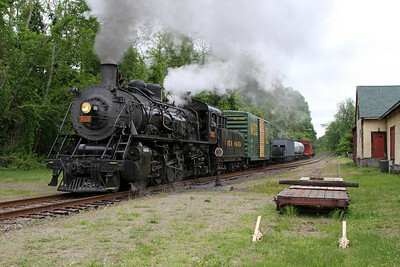 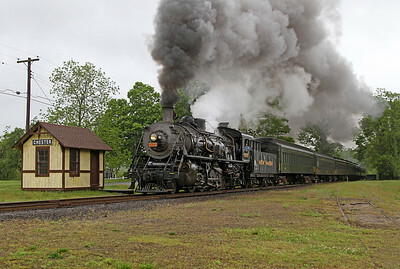 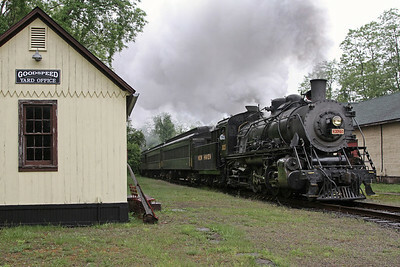 Although no original New Haven steam engine survived scrapping, the "new" 3025 began service in November 2011 on the Valley's ex-New Haven branch line. 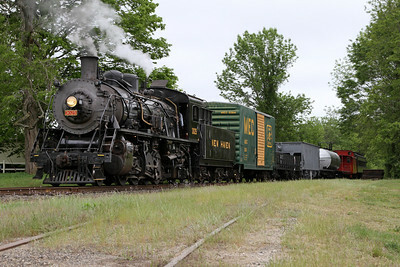 The locomotive joins Alcos 2-8-2 #40 (built 1920) and 2-8-0 #97 (built 1923, currently out of service) pulling daily passenger trains at the Essex Steam Train & Riverboat.